Worry dolls are small hand-made dolls originating from Guatemala. Traditionally, these dolls are given to children and used to help eliminate worries or sadness. Before bed, you can tell the doll your worries, place it under your pillow, and then go to sleep. The next morning, it is said that all your worries will go away! 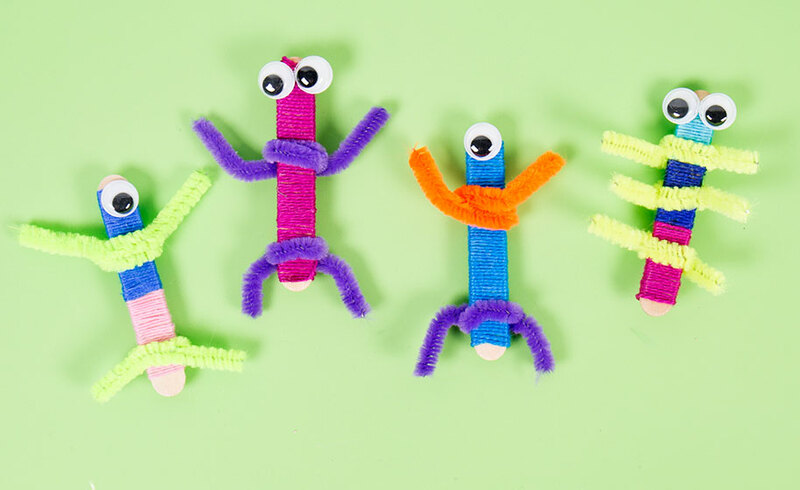 These worry dolls, or worry monsters in our case, are a cute and fun way to help children explore their emotions at a very young age. 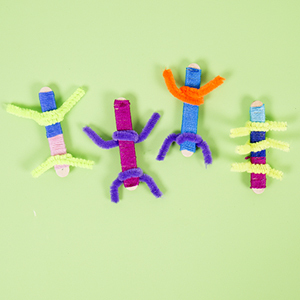 Gather your materials to make your worry dolls. 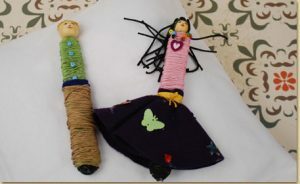 Traditionally, worry dolls are made of wire and wool cording. We are going to use craft sticks! 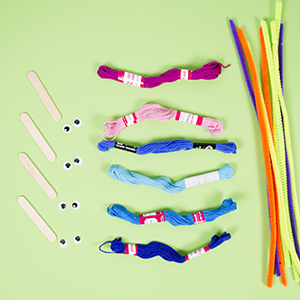 Wrap each craft stick with colorful friendship thread cording. 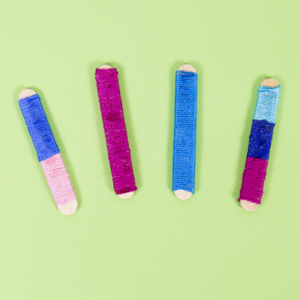 Wrapping items with yarn is wonderful fine motor practice for little ones! Mix and match colors to personalize your dolls. 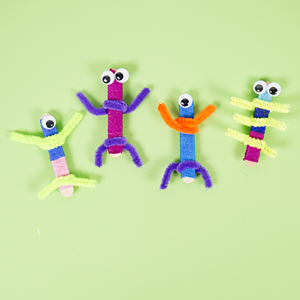 Finally, add wiggly eyes to complete your worry doll monsters!